Taking to the skies had always been a dream of man. There was a lot of wonder associated with the concept of conquering the skies. That was made possible with the invention of the airplane. We have come quite far and have become quite advanced in the field of aviation since then. The ongoing debate is which is better, a pilot flown airplane or an unmanned aircraft. Unmanned aircraft, or as we usually call it, drone, eliminates the risk of life of the pilot from the equation when it is being considered for military purposes. But every one of us wants to fly drones and it could be as simple as fulfilling a hobby or pose a major security threat to the airspace. After a lot of ambiguity, The Office of the Director General of Civil Aviation (DGCA) finally released the Civil Aviation Requirements (CAR) for the operation of civil Remotely Piloted Aircraft System (RPAS), or as it is commonly known as, drones. As per the CAR, to operate a drone one will have to obtain a Unique Identification Number (UIN), an Unmanned Aircraft Operator Permit (UAOP) and comply with certain other operational requirements. The DGCA will allow model aircrafts, with a Maximum Take-Off Weight of up to 2 kg and without any payload, to operate without UNIN and/or UAOP, provided that they’re flown below 200 feet and only inside the premises of an educational institution. • Verification of character and antecedents of the remote pilot(s) from the local sub-divisional police office. The permit will be valid for a period of 5 years and will have to be renewed if the interested personnel wishes to continue flying the permitted drone. The UAOP issued by DGCA shall be cancelled or suspended at any time if in its opinion, the performance of the remote pilot /maintenance of RPAS is no longer acceptable. Any breach of compliance to any of the requirements shall attract penal action including imposition of penalties as per applicable under the Indian Penal Code.A breach, if any noticed by any Govt. authority shall be intimated to the concerned state authority for taking necessary action including imposition of penalties under the applicable statutory provisions. While a drone can be used for several purposes such as mapping, survey and commercial photography, e-commerce ventures are looking to use them for deliveries to its consumers. it is also viewed as a security risk. 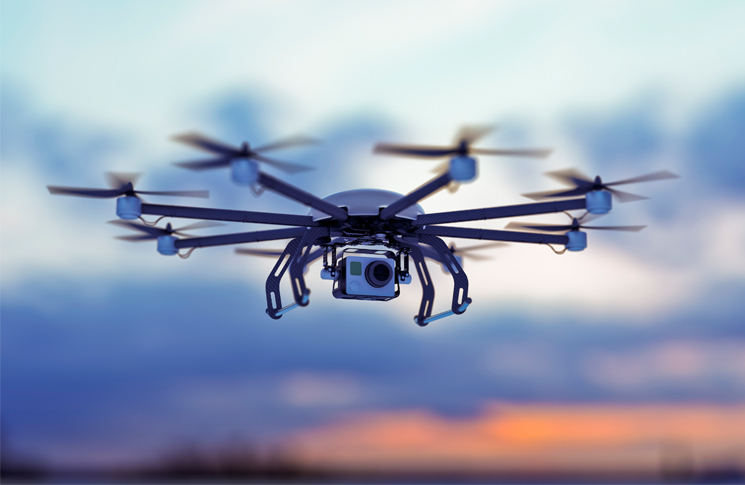 The International Air Transport Association has referred to drones as a threat in airspace and called for a greater stakeholder engagement to ensure safety.